The 2017-2018 Job Market: Which Were The Most Sought After Areas of Specialization? One-third of the tenure-track positions in philosophy that colleges and universities were seeking to fill this past job market season were in value theory, according to an examination of job advertisements. 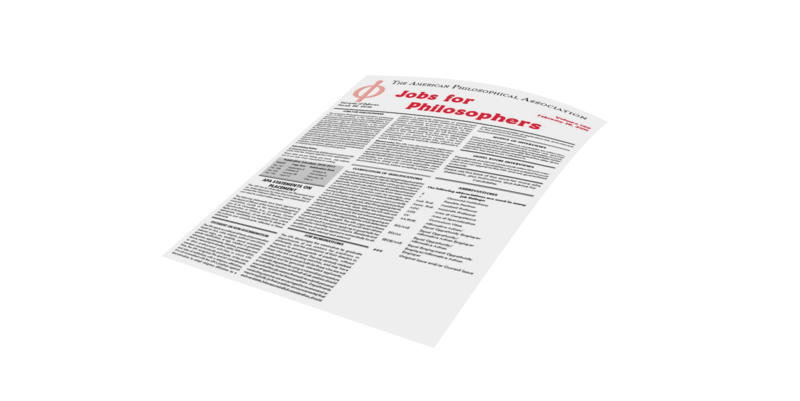 Marcus Arvan, assistant professor of philosophy at the University of Tampa, has a detailed breakdown of the advertised jobs by type (tenure-track, non-tenure-track) and area of specialization (AOS) at The Philosophers’ Cocoon. For a more detailed breakdown of these figures as well as data for non-tenure-track jobs, see Professor Arvan’s post at TPC.